Congrats! E-mail me your address so that I can have your book mailed to you. Today I’m so excited to be interviewing Rosanne Parry. Her book, SECOND FIDDLE, was released in March. Hi Rosanne. Thanks so much for joining us. 1. Tell u s a little about yourself and your book. I think my editor writes terrific flap copy, Here is what he wrote about Second Fiddle. It is 1990 and the wall that separated Communist East Berlin from the capitalist West has finally come down. For Jody this means moving back the States with her dad who’s retiring from the army and saying goodbye the two best friends she’s ever had. Before they part ways the three girls plan one last adventure, a trip to Paris where they’ll compete in a classical music contest as a string trio. Winning will (almost) make up for the fact that they’ll soon be separated. But as they walk home from their final music lesson the girls witness a terrible crime and must act to save a Soviet soldier’s life. Getting to Paris becomes urgent as the girls discover that the border between friend and enemy is not as clear as it once was. In this fast-paced tale of music, friendship and adventure, Rosanne Parry, author of Heart of a Shepherd, offers a sensitive portrayal of military families at a pivotal moment in history. My editor made me write my bio, which I do not love to do. It always feels awkward to write about myself in the third person, but I wrote this bio very late at night when I was in a silly mood and he thought it came out well. So here you go. Rosanne Parry moved to Germany in the spring of 1990 just as the Berlin Wall was coming down. She ran away to Paris for one glorious weekend with her soldier husband, first-born baby and an enormous purple stroller. The three of them are best friends to this day. 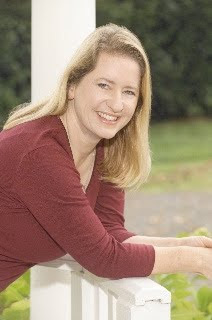 Rosanne is the author of Heart of a Shepherd, which has been honored as a Washington Post’s Best Kid’s Book of the Year, a Kirkus Reviews Best Children’s Book of the Year and a Horn Book Fanfare Best Book of the Year. She also plays the violin for which she has never been honored with a prize of any kind. She now lives with her husband in an old farmhouse in Portland, Oregon, where they raise four children, three chickens, five kinds of fruit and their voices in the occasional song. 2. I love the mention of the purple stroller in your bio. That’s so original. I’ve read that you used your own musical interests in crafting Jody’s musical talents. What were they and how did you use them in your story? I played the violin as a child and loved it, but hadn’t touched my violin in decades. When I started writing this book I began playing every day as a way to get my head in Jody’s character. At first, I sounded really awful. But with a little practice and some new strings for my very old violin, I started to love it again. My very favorite part of the whole book journey has been playing duets and trios with my daughters who play violin and piano. It reminded me of what an empowering experience it was to play in an orchestra in middle school. 3. I played violin as a kid too. I’d sound horrendous if I tried it again. That’s awesome you started playing again. You lived in Germany from 1990-1992. How did you use these experiences in creating your settings and your overall story? Did you have to do any additional research since it’s been awhile since you lived there? A lo t of the background information for the story was based on things I learned in conversations with my German neighbors or read in the German papers. Much of the chaos surrounding the reunification of Germany was not big news in the States. For example, I read in a German paper about a reporter who had heard that Russian soldiers were selling their weapons to pay off corrupt officers who would beat them if they didn’t give them money. The reporter took 400 Deutsch Marks to the border and was shocked to discover that he could buy a dozen Kalashnikovs, a box of land mines and a grenade launcher from Russian enlisted men looking for cash. He was offered anthrax and poison gas, as well, but was afraid to transport them in his car. It was fascinating and that information was a key part of the setup of the story. But I couldn’t use it until I found a translation of the original article an archive. Living through an experience is not enough for a book. You really have to independently verify everything. Sometimes the simplest things proved the hardest to check. You’d think train schedules and fares would be easy, but nobody keeps out of date travel guides. I had to look in the archive of a travel book company. I kept a list of all my research references, which included books, documentaries, musical scores, maps, websites, recordings, and photographs. The list ran to more than 60 sources. I love historical fiction, but it is painstaking in ways that other genres are not. 4. You’re right we didn’t know about all that. That’s scary what a little money at the border could buy. Jody and her friends are just finishing 8th grade. Yet they are quite independent and go on a trip to Paris on their own. How did you handle making their independence believable? Did you face any challenges in doing this? I have taught at a school on a military base and one of the things I remember is how resilient and resourceful the kids were. They tended not to be afraid of strangers and were not at all shy about figuring out an unfamiliar system. And because their parents were soldiers, they could all read a map!  So I was confident that the daughters of a general, a sergeant major and a diplomat would not be flummoxed by the challenges that came their way. One of the things that changed the most in revision was the point at which the girls realize their parents know they are in Paris alone and have come to look for them. In my first draft, the girls didn’t find out their parents had been looking for then until the very end. I tried switching that point of discovery to earlier in the story but it never worked as well as the first draft, so I went back to my original idea. In a contemporary story, it would never work but Second Fiddle is set in 1990 before cell phones and surveillance cameras and many of the things that are now in place to recover lost children. So as long as the girls didn’t come across a television set or a radio, they would be in the dark about the ongoing search for them. My critique group was also a great help in keeping things authentic. I have only been to Paris once, but among them they had lived in Paris as a high school exchange student, a college exchange student, the child of a diplomat, and a street performer. They really helped me think about traveling from a teenagers point of view and kept me grounded in terms of how far a person could walk in a day, and which parts of the city would feel safe, and what kind of reaction they would get from typical Parisians. I’ve been very lucky in my critique group, and I have an acknowledgement of them and the many others who helped me on my website. 5. You had a choice about whether this story would be a MG or YA book. What went into your decision that it should be a MG story? The simple truth of the matter is that I am tragically unhip. Ask any one of my children, they’ll tell you it’s true.  I like YA lit, but I’m not sure I’m the best person to write it. I could have written Second Fiddle for an older audience. They could have had a different kind of relationship with the soldier they rescued. They could have met far more dangerous people on their journey. But when I thought about what my main character really wanted most, it had nothing to do with rebellion or romance. Jody loves music. She wants to be with her friends. She wants to do the right thing and help someone who is in danger. Those are solidly middle grade issues. The nice thing about keeping the focus on Jody and her music was that it developed into a story where music became a way for her to make a connection across cultures. That was a lot of fun and has really resonated with readers who also play music. 6. You’ve had two other books published—DADDY’S HOME, a board book, and HEART OF A SHEPERD, another MG book. Can you tell us about your road to publication and any bumps along the way? My road was more long than bumpy. I am blessed with an amazing community of writers in Portland. Heather Vogel Frederick, Susan Blackaby, Carmen Bernier-Grand, and Virginia Euwer Wolfff have all been generous mentors to me over the years. I started writing when I had 3 children under the age of six. I decided to take the time I had at home with all of them to develop my writing. If I wasn’t getting anywhere by the time my youngest started school, I’d set the writing aside and go back to teaching—a profession I dearly love. But when my fourth child had been in kindergarten for two weeks, I got a check in the mail from Oregon Literary Arts for almost a thousand dollars. It was a fellowship to help me finish my work in progress. That was a life-changing letter. I decided to stick with it. I got an agent, Stephen Fraser, several months later, and about a year after that we sold Heart of a Shepherd to Jim Thomas at Random House. Jim and Steve have both been wonderful to work with. They have almost 50 years of experience in the business between them, and I am very grateful for their willingness to give me the time I need to get my stories just right. 7. That’s so cool how you made your internal deadline for getting published. How did you market your book? Did you find there were any challenges unique to being a middle grade author? Were there any specific blogs or other marketing tools you found especially helpful? Marketing Second Fiddle has been all joy! I’m not a big on line social networker, but here is an example of what has worked for me. My friend Liz Rusch has a book which is also about music. It’s the picture book biography of Maria Anna Mozart—For the Love of Music. She and I teamed up at our local indy bookstore A Children’s Place. We invited the Metro Youth Symphony to come to the store and play with us. They were amazing! They played a little Mozart. Liz read her book and talked about researching the life of Wolfgang Mozart’s big sister. Then the kids played Pachelbel’s Canon, which is a piece of music my girls are working on in the book. I read a little from Second Fiddle. The musicians and I chatted a bit about the fun of making music with friends. And then we handed out kazoos so everyone could play. Mozart composed several variations on Twinkle Little Star, so I played Twinkle with the kazoo players in the audience and the Metro Youth Symphony did improvisations on the tune. It was really fun! I have several more events of this kind planned all over Oregon and I am in conversation with several bookstores and librarians about taking it on the road. If that sort of event sounds like something you’d like to have at your bookstore or library, please get in touch through my website. 8. That’s great that you tapped into the unique aspect of your book—music—in marketing your book. That is exactly what the experts recommend doing. What are you working on now? I am writing another MG adventure story set in the most dangerous dozen nautical miles in the entire Pacific—the Columbia Bar. I’m still in the middle of writing this one, so I can’t say too much more about it. It’s called The Wayfinder. Good luck Rosanne. You can contact Rosanne at her website. Rosanne has generously offered a copy of SECOND FIDDLE for a giveaway. All you need to do is be a follower (just click the follow button if you’re not a follower) and leave a comment by midnight on May 14th. I’ll announce the winner on May 16th. International entries are welcome. Marvelous Middle Grade Mondays was started by Shannon Whitney Messenger to spotlight middle grade authors. Check it out here. Next week I’m starting my ASK THE EXPERT series where I ask kids between 5th and 12th grade about how they find out about books. My first interview is with an 8th grade boy who loves to read. All the tweens and teens who participate are taking time from their busy schedules to answer my questions. I’m sure they’d like to know we appreciate it by seeing a lot of comments. Please be sure to come back and comment. On May 23rd, I’m so excited, like jumping up and down excited, to interview Beth Revis and give away a copy of her book ACROSS THE UNIVERSE. Terrific interview! I'd love to win the book. So interesting to hear more about SECOND FIDDLE. I went to the WW SCBWI conference last month and heard Rosanne talk about character development. THANK YOU Rosanne!! Your tips have made a huge, seriously, huge difference in my wip. I can't wait to read SECOND FIDDLE!! As always, great interview, Natalie!! Thanks Rosanne for the awesome interview and giveaway. Thanks Marcia and Paula for stopping by. Paula, I would have loved to have heard Rosanne's talk. Wonderful interview with Rosanne, Natalie. Definitely, if anyone reading this is from Oregon, check out one of her musical events. They are great fun and she and her trio are amazing. I'm really excited about your ASK THE EXPERT series: you are tapping into the most important link in the chain: the teen reader. I can't wait to hear what he has to say! And, in the unlikely event I actually end up winning SECOND FIDDLE, could you please donate it to a local school library? I already have a treasured copy. Thanks!! I'm so glad you found my workshop helpful! It's called Character and the Seven Deadly Sins and I'll be offering it again this summer at the Willamette Writers Conference which is the first weekend in August. You can find out about it at www.willamettewriters.org. It's a very large and well organized conference with an emphasis on pitching finished projects to the dozens of agents and editors they bring in. If you are looking for a smaller and more craft-based learning experience this summer, you might take a look at the Fishtrap Summer Workshop. I'll be teaching the MG/YA section of the workshop. It's a weeklong experience in the beautiful Wallowa Lake region of eastern Oregon. You can learn more about that at www.fishtrap.org. So I haven't quite left teaching behind, I do love to teach almost as much as I love to write. Finding the right balance between teaching and writing is always going to be my work-in-progress. Your upcoming workshop at the Fishtrap sounds, MARVELOUS. Thank you for bringing this book to my attention! The blended review and author interview really gets the reader behind the story. Love that! I LOVE historical fiction. There can never be enough of it for me! I haven't heard of this book, but it sounds like something right up my alley. I think I'll have to check it out, especially since I think my little cousin would enjoy it too! This book sounds fabulous! I lived for four years in Germany and did volunteer work with both German teens and teen kids of US military parents while there. My American kids (who sort of became German while there) would love this book! Glad to hear the military fearlessness translated well for you. When I taught at Ft Huachuca I found the independence of my students both inspiring and worrying--especially since that particular fort included miles of wilderness with bears, cougars, and coyotes, not to mention rattlesnakes and scorpions! I should have mentioned that Listening Library did a great audio of the book and they even asked me to read the author's note. That was so much harder than I thought it would be! It took me an hour and a half to read 5 pages. Fascinating experience though! I have a whole new appreciation for voice artists. My voice actor for Second Fiddle is Bree Knickerbocker, and the book is also available in downloadable audio. Very thorough interview, Natalie! And I'd love to win this book. Rosanne, my sister and her husband served in the US army together and spent four years in Berlin. I was in college then and I visited them there one Christmas for several weeks. I still remember that Wall. This sounds like a fascinating story. Will definitely add it to my TBR list. Natalie: Thanks for highlighting an MG book in which classical music plays a big part! Roseanne: If my friendship/classical music MG novel gets published, we should get our babies together for a playdate! Historical fiction definitely has different hurdles from other books, congrats to Roseanne for all the hard work and wishing you the best of success! This book has been on my radar for a while. Love her story to pub and marketing strategy. Love how you're spreading the news about the middle grade Monday bloggers! So great. Once again - great interview! 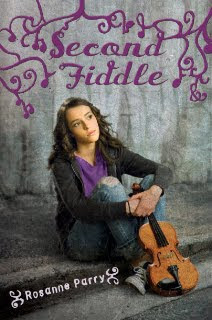 This book sounds so different - I've never seen a story with a fiddle player. Awesome! Thanks for introducing me to another great author.